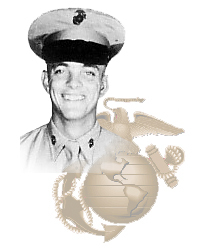 LtCol Treece is a former Korean War Veteran, as a 0311 Pfc in the United States Marine Corps he served with "Dog" Co.,2nd Battalion, 7th Marine Regiment, from March 1953 until October 1953. He left the Marine Corps and eventually became an Officer in the USAF. In Vietnam he was assigned to serve in a Reconnaissance Squadron flying an RF4C aircraft, little is known regarding about Capt. Treece's disappearance (he was promoted to LtCol while listed MIA), he left on a mission on the 7th of October, 1966 never to return. It has been reported that he went down in the Gulf of Tonkin, and also that he had crashed on land near Hill 360 Bach Ma Mountain, Phu loc District, in Thua Tien-Hue Province RVN. There are over 3816 records of reports regarding Treece, in a Government POW/MIA Data Base, sightings, crashes, and recovery of documents, are listed. On Monday, March 6, 1978, his MIA status was changed to A3 "died while missing", air loss-crashed on land (Pilot-Fixed wing aircraft and he is listed on the Wall on Panel 11E-Row 059.
with the expressed permission in writing by the Author.